Deataily publikace • kód publikace IB0165 • vydavatel IMRAY • ISBN 9781846232831 • 9. edice vydána v r. 2011 • formát A4, tvrdé desky, barevné plánky a fotografie • SKLADEM •This is the only fully comprehensive pilot guide in English to Spain's Balearic Islands. 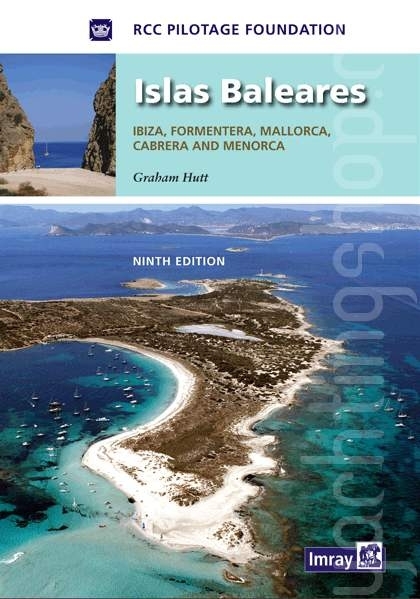 This new edition of Islas Baleares - Ibiza, Formentera, Mallorca, Cabrera and Menorca - has been thoroughly revised for the RCC Pilotage Foundation by Graham Hutt who has visited the islands during 2009 and 2010. Throughout, the plans and technical data have been brought up to date. AKCE / SLEVA - ušetříte 300 Kč!